The 2400 Power Coil is the aesthetic power solution. 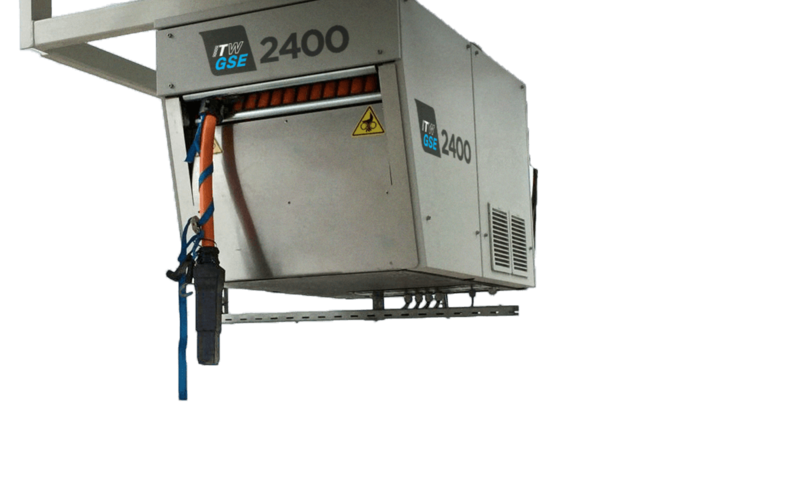 The 2400 Power Coil includes a 400 Hz, 90 kVA power supply and a cable coil in one single enclosure. A very handy solution that leaves the PBB and the apron pleasant to look at at the same time. Especially, where glass passenger boarding bridges (PBB) is the preferred solution, the aesthetic aspect is important. The Power Coil works perfectly well with all sizes of bridges and all types of aircraft. The 2400 Power Coil offers a highly reliable and robust design including a front plate in stainless steel. The Power Coil has an improved cable guidance system that ensures easy and smooth cable handling. As a standard, the Power Coil comes with 24 m of cable (useable length). However, the spacious housing has room for at least 28 m cable. The cable is rolled completely into the housing after use. The rolling automatically stops when the plug head reaches the lower edge of the Power Coil thus leaving the apron free. 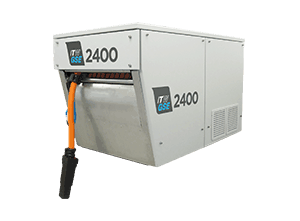 The 2400 Power Coil is based on the ITW GSE design and provides all performance features from the well-known 2400 Compact GPU i.e. the unique voltage quality and the 400% overload at output as a standard. 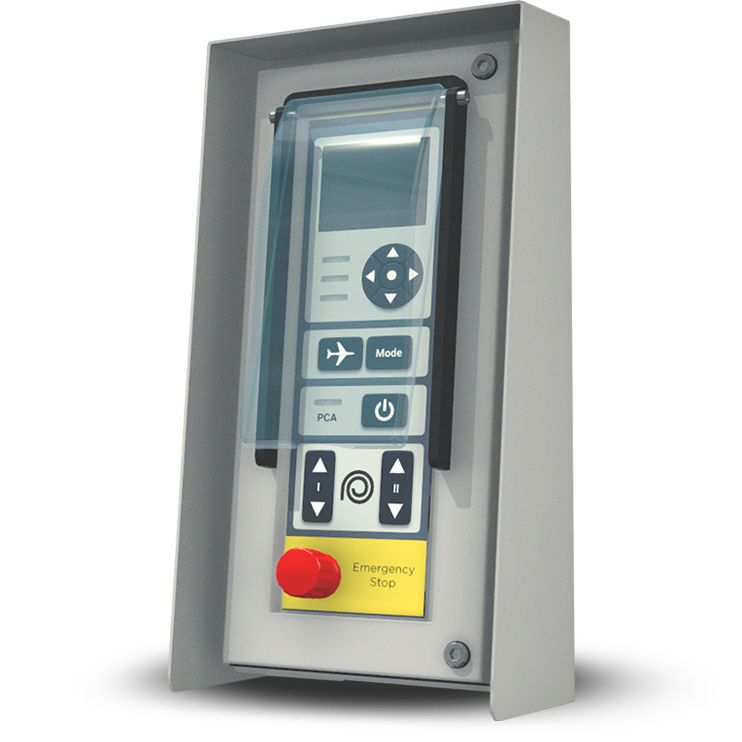 Further, it is equipped with the smart ITW GSE user interface. And software can be updated via USB. 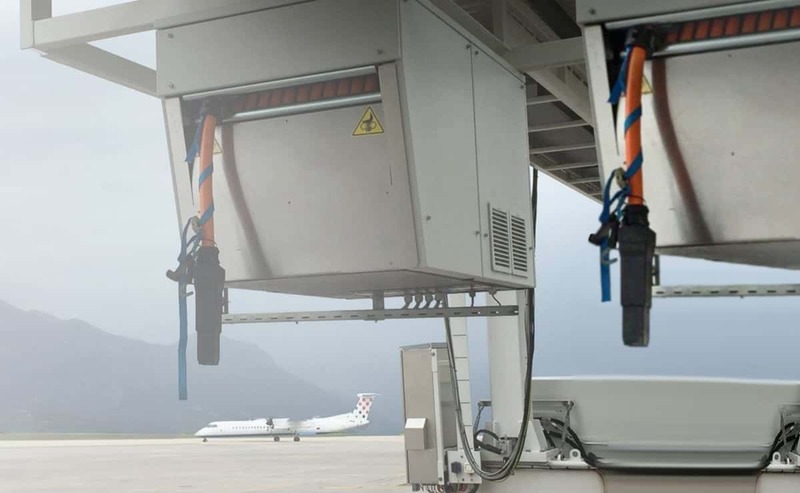 The Power Coil also includes standard overload capabilities that match all types of aircraft even those requiring Power Factor 1 like the B787/A350/A380. The 2400 Power Coil offers a highly reliable and robust design including a front plate in stainless steel. The Power Coil has an improved cable guidance system that ensures easy and smooth cable handling. As a standard, the Power Coil comes with 24 m of cable (useable length). However, the spacious housing has room for at least 28 m cable. The cable is rolled completely into the housing after use. The rolling automatically stops when the plug head is level with the lower edge of the Power Coil thus leaving the apron free. The Power Coil works perfectly well with all sizes of bridges and all types of aircraft.